I havenâ€™t been able to draw for ages! Last night I couldnâ€™t sleep and decided to try and draw Mischief sleeping on the end of the bed. I thought it would end like all my other drawing attempts in the past year where all I achieved was a pyramid of crunched up papers. I am so excited to see now that even though my drawing skill is a bit rough on the edges, it has not completely deserted me. Phew. 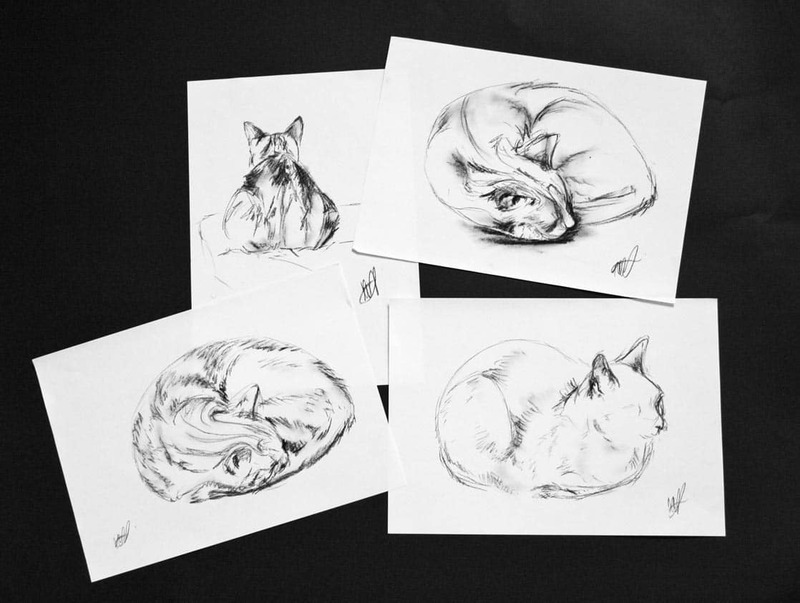 This entry was posted in Blog and tagged Cat, Charcaol, draw, Mischief, Sketch. How much is that doggy in the suitcase? How cool are these shoes!?! I agree! These are great!